High open rates aren’t just good for your business and your ego, they can also improve your email deliverability. Internet Service Providers (ISPs) send emails directly to spam boxes for a variety of reasons, and low open rates is one of them. 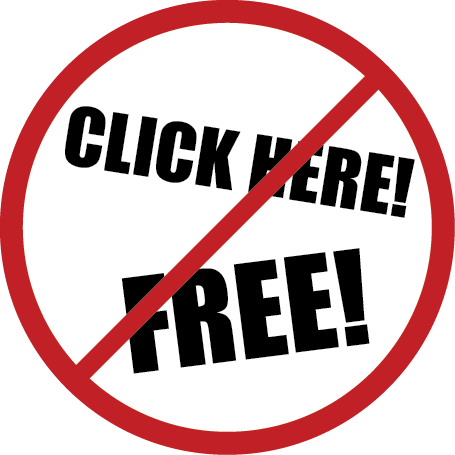 Avoid spammy words like “free,” “CLICK HERE,” o r “stop snoring,” because they can set off spam alarms. Keep in mind that ISPs scan the entire email, not just the subject line, so be careful about how you phrase your text. Use your email service provider’s built-in spam detector to test your emails. If your provider doesn’t have one, you can find a free spam detector online. Segment your email list by activity level. Try sending the email to your most active subscribers first, then email your less active subscribers a few hours later. Delete or unsubscribe the people who stay on your list, but never open your emails. Only 40% of the people who stop being interested in your emails bother to unsubscribe, according to Lead Pages, so do it for them. Before you let the seeming deadbeats go, give them one last chance to stay on your list. Send everyone who hasn’t opened a single message from you in the past X months (I recommend 3-5 months, depending on your email frequency) a targeted email. You could offer a discount or a giveaway, be very direct (“Do you want to unsubscribe?”) or make it funny–“Is it something we said?” If they don’t open or respond, unsubscribe them. Get advice from your email service provider. Most providers offer tips and tools to help you improve your subject lines (and avoid spam filters). Put your sender’s first name in the subject line. An Experian study found that personalized subject lines had a 22% higher average open rate. Successful blog post headlines don’t automatically work for emails. Subject lines using keywords conveying “urgency,” a “benefit,” or a “command” tend to perform better than “news,” “click-bait,” or “how-to” messages, Return Path reports. Test your subject lines. The best way to improve your subject lines is to test them. Send a message with one subject line (Subject Line “A”) to a random segment of your list and a different subject line (Subject Line “B”) to an equally sized second random segment. Leave everything else in the email the same. If one of the subject lines that you test gets a better open rate, send the winning version to the rest of your subscribers. Note: if you have a small mailing list (less than 1000 subscribers), your list is probably too small to get statistically meaningful results from testing your message with a small section of your list before it goes out to everyone. But you can still set up an A/B test by dividing your entire list into two equal, random segments and sending the A message to one group and the B message to another. if one subject line performs better than another, you can apply what you’ve learned from that test to your future emails. One final tip: Make sure it works on mobile. Over half of all emails are being opened on mobile devices, so make sure your emails are easy to read and click through on a cell phone. Test how it looks on a variety of cell phones before sending, or, better yet, design it for mobile first, then see how it looks on a desktop.